GoPro Organics is a 100% natural, certified organic soil supplement providing ALL of the essential ingredients for a healthy, beautiful synthetic free lawn or garden! * Kid, pet and environmentally friendly. 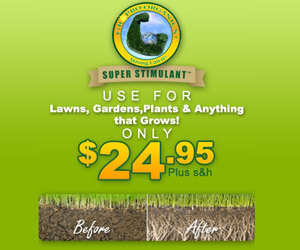 * Use on lawn, gardens and plant beds. * Greener grass and robust gardens. * Helps balance soil pH. Order today and receive a free hose-end sprayer!